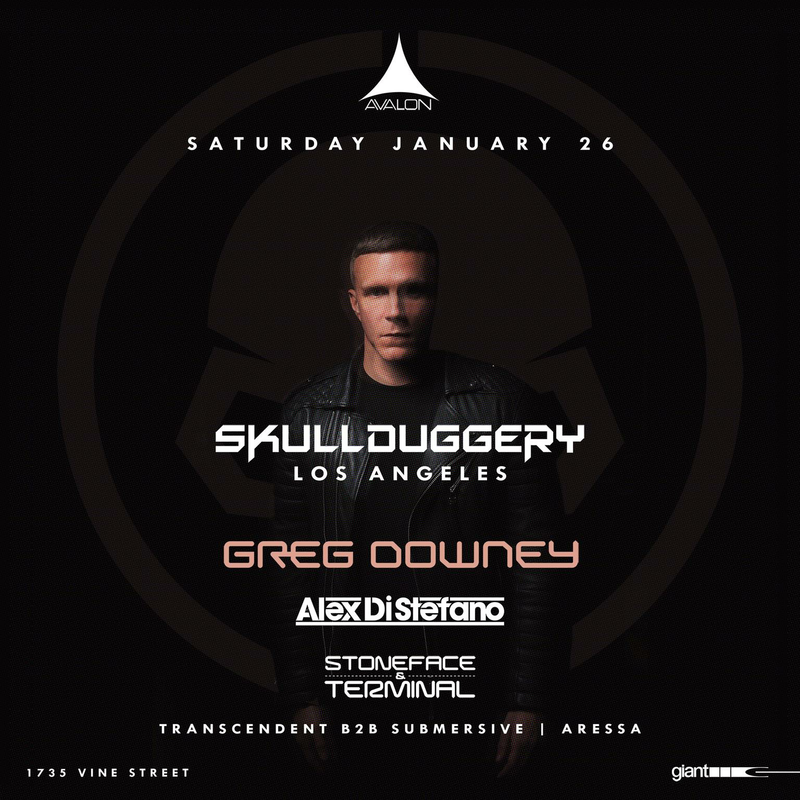 AVALON is ecstatic to welcome back one of the kings of trance, Greg Downey for his label, Skullduggery’s very own night at AVALON Hollywood on Saturday, January 26th. Downey will be headlining the night, taking us to a whole new level of trance paralysis that only he knows how to do. Coming from a strong background in producing, Downey will not disappoint as he brings his impressive experience to the decks of Hollywood. 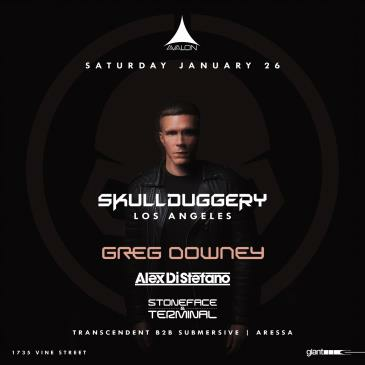 Alongside traveling worldwide throughout his career at massive festivals and venues, Downey started his label ‘Skullduggery,’ which has been producing many other top DJs and producers alike. During the growth of his career, he was supported regularly by the likes of Armin van Buuren, Gareth Emery, Paul van Dyk, Ferry Corsten, Sander van Doorn, Above and Beyond, Downey has learned and played for some of the greatest in the industry, proving it will be a night to remember and cherish. In support of Greg Downey is Alex Di Stefano, who is no newcomer to the art of DJing and production. Growing up within a musical family, there has been no lack of musical influence in his life and it is shown through his impressive sets around Europe and throughout the world. During his multiple residencies throughout Italy, his sound has developed into a techno-trance sound that is unique to his productions. Following no particular style, Alex will be sure to be a producer that will shape the future of the techno-trance world within the industry showing others that you don’t have to have a specific style to find your own unique sound. Opening up the night will be Transcendent B2B Submersive along with Aressa.